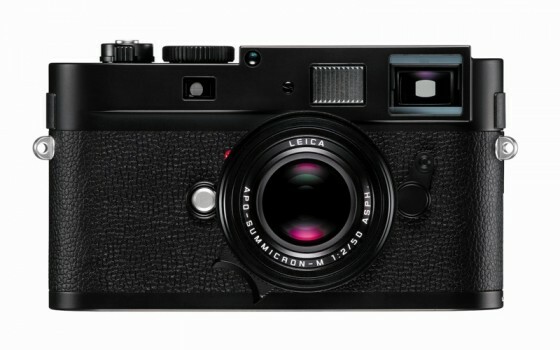 Leica Dealers report that the first shipments of the Leica M Monochrom have been made. Initially the camera will be available in only very limited quantities, but it is hoped that supplies will increase as time goes on. 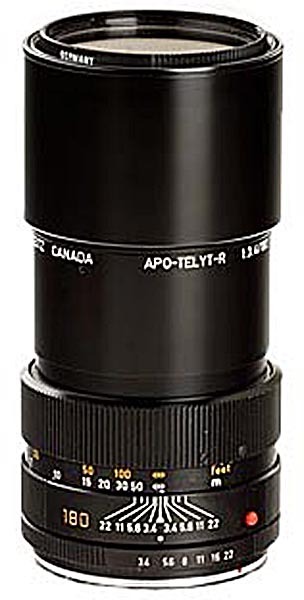 The 180mm f/3.4 Apo-Telyt-R reached the market in 1975. At that time it was no longer a secret that Leica had developed the lens for the US Navy as part of a high resolution 35mm camera system. The system used Leicaflex SL2 cameras, the standard 35mm Summicron-R, a 75mm f/2 Elcan-R, a 180mm f/3.4 Elcan-R (later reincarnated as the Apo-Telyt-R), and a 450mm f/5.6 Elcan-R. This system was used by the US Navy starting in the early 1970s. One of the problems of lens design is accurate color correction and the Navy presented Leica with the problems of developing lenses that could focus more than just the visible spectrum accurately. Even today, most of the photographic lenses have what is referred to as “primary color correction,” where only part of the visible spectrum is focused at any time. The solution to the problem lay in the development of glasses with what are considered “anomalous” properties; the combination of high refracting indexes with low dispersion. Such properties are found in artificially grown crystals; an example is the calcium fluoride elements made famous in the Canon FL series telephoto lenses. But such crystals have a very large temperature coefficient, and elements made from them are both brittle and extremely soft. The temperature related expansion of calcium fluoride elements is so great that most lenses made with them are subject to changes in focal length with temperature changes, and therefore have no proper infinity stop or distance markings. The softness of the material also leads to design constraints. For instance, the Canon 300mm FL lens has a thin, conventional glass element in front of the “front” calcium fluoride element, primarily for protective purposes. Not an ideal situation. Lenses made of these crystal elements demand extreme care to assure proper performance, and the military considered them incompatible with the kind of treatment they were likely to receive. The glass research lab in Wetzlar set out to develop a glass that had the optical properties of crystals like calcium fluoride, but without the negative side effects. They did indeed develop such a glass, today commonly referred to as “apo glass.” It was/is used in a variety of Leica lenses, including the Apo-Telyt, the 800mm Telyt-R, and the Noctilux 50mm f/1. Their designer, Dr. Walter Mandler, was the man whose genius brought us those lenses, but also the 35mm Summilux, and close to fifty other lenses for Leica cameras, in addition to lenses for RCA television cameras, IMAX projectors, and Picker X-ray equipment. How good are the Elcan lenses, specifically the Apo Telyt 180mm f/3.4? While most photographic lenses have a color correction from 400 to a maximum of 700 nanometers, the Leitz apo glass allows correction up to 900 nanometers. In simple terms, this means that all colors of the visible spectrum and infrared are focused in a single plane. The Apo-Telyt proved to be the best lens of the set, making it one of the very few lenses for 35mm cameras that do not require refocusing when used with infrared films or sensors. The US Navy conducted comparison tests with the 180mm f/2.8 Elmarit-R. These demonstrate the effects of the apochromatic correction of the Apo-Telyt. Both lenses were tested at f/3.4 with blue, yellow-green, red and infrared light. The maximum focus shift of the Apo-Telyt was +/- 0.045mm. The shift of the 180mm f/2.8 Elmarit-R (at f/3.40 was +/- 0.25mm. In practical applications, such correction translated into fantastic sharpness. Increased resolution is readily apparent, made possible by greatly increased contrast capabilities. The Navy test showed that the Kodak 5069 film, developed in H&W 4.5 developer consistently achieved resolution figures of 600 lines per millimeter. To make enlargements with this kind of detail required a specially modified Leitz Focomat II enlarger and lenses. It is safe to say that regardless of manufacturer, the Leitz Apo-Telyt-R 180mm f/3.4 is still one of the very best lenses ever made for 35mm photography. This article has a lot more information on the Apo-Telyt and the tests conducted by the US Navy. Some readers might wonder why Ansel Adams is the topic on the LEICA Barnack Berek Blog. After all, as far as we know, among the large number of cameras he has worked with, a Leica was never one of them. As Leica enthusiasts, we sometimes have a tendency to get too wrapped up in our equipment. 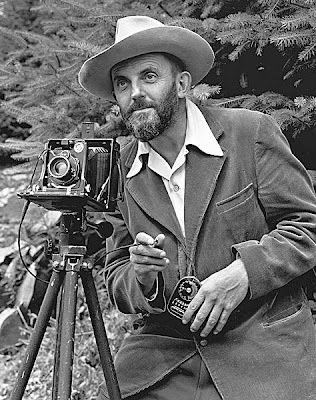 The fact that Ansel Adams apparently never did any work with Leica equipment in no way diminishes his accomplishments. To the contrary, all photographers, including Leica owners, can learn a lot from him. His approach to photography with the Zone system, which he created, is still as much up to date today as it was when he worked his magic with black and white photography. This is part of what makes him of great interest to the Leica community, because Leica these days has probably a much wider number of followers still using analog photography than any other camera out there. By applying his techniques, I have certainly been able to produce better black and white photographs than I would otherwise have been able to. 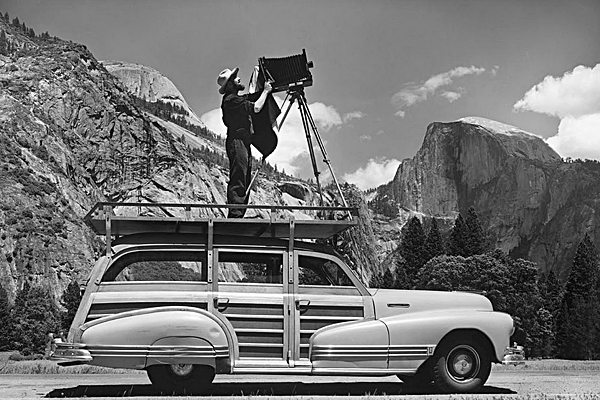 This is not going to be an article on Ansel Adams’ camera and darkroom techniques. For that he is doing a much better job in his books than I ever could. Instead this is a remembrance of one of the giants of photography, an individual that will forever be remembered as one the absolute masters of his craft. 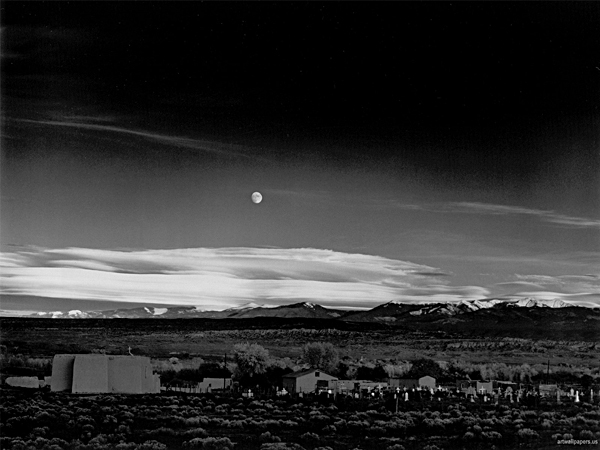 The L-Camera blog has published a two part video of Ansel Adams from 1958. In this 20-minute presentation you get an insight into his working methods, his own interests and attitude to art, and his gigantic amount of camera equipment. You will accompany the photographer through the entire process of analog photography, from the precise light reading of the object, the correct exposure settings of the camera and onto the right development of the photos in the darkroom. 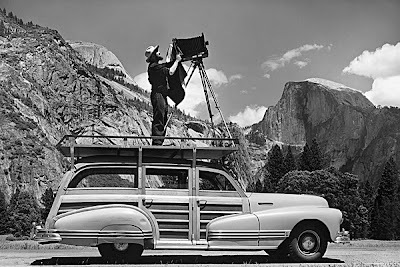 But you will also see another, much lesser known side of Ansel Adams, that of an accomplished pianist. As a matter of fact, he initially planned to become a concert pianist, but the onset of arthritis kept him from doing so. It wasn't until then that he began his career as a photographer. The piano music accompanying the video was all played by Adams. Listening to it is a captivating opportunity to see the other artistic side of this great artist. I am showing only one example of his work. It is almost impossible to make a reasonable selection from his many published photographs. This one stands out because it was taken without the possibility of an exposure reading. He came upon this scene while driving home from an assignment. The light was changing quite rapidly and Adams had barely time to set up his camera and tripod. It is to his credit to be able to accurately determine the exposure simply based on experience. I think every Leica enthusiast remembers the Leica camera that ‘started it all’. I am one of the fortunate individuals that can truly say that I have used Leicas all my life, well, almost. I grew up in the photography business of my father in Germany. This naturally exposed me to photography and cameras at an early age. It was always my father's dream for me to take over the business once he retired. That, however, does not mean that I was pushed in that direction, to the contrary, I was always encouraged by my parents to follow my own interests, of which there were many. But my dad also always encouraged me to take pictures of my own. I must have had some noticeable interest, because on my fifth birthday he presented me with my Leica No. 1, a Leica III with 50mm f/2 Summar and a Steinheil Culminar 135mm f/4.5. That also included a Braun Viewfinder, adjustable from 35mm to 135mm and a Leitz VACU flash synchronization device. I am convinced that starting out with this camera ultimately made me a better photographer for a variety of reasons. My dad did not give me a light meter, instead he taught me the sunny 16 rule and for flash, there was never any automation until much later in my life. I simply focused and then had to use the old guide number divided by distance formula to determine the aperture setting. Considering that I also had to deal with a collapsible lens, I had ample opportunity to make mistakes, and mistakes I made, many. After wondering about some very blurry images, even though I knew I had focused my lens quite carefully, and after many explanations from my dad, I eventually remembered to pull out the collapsible lens before I started shooting. I also soon figured out that taping a little guide in back of the flash with the guide number/distance formula eventually lessened flash exposure mistakes, as did a note with the sunny 16 exposures on it. This isn’t meant to give me a pad on the back. I truly believe that starting out totally manually made photography in the long run a lot easier for me. Even though I have since switched to digital Leica equipment, I still use film occasionally, for no other reason than not to lose my touch. To this day I have no problem getting correct exposures without the help of a meter. As a matter of fact, once I did start using a light meter, it gave me cause to explore what these instruments are capable of beyond just plain camera settings. Even now, working in my studio or doing architectural and other photography, I still rely very much on my light meters. Even in these days of Photoshop, I still approach my photography as in the film days. That includes careful light readings and all else that I can do to get the shot right. That certainly makes post production a lot less time consuming because generally, I don’t have to correct for mistakes. Having grown up with rangefinder cameras, which of course included the use of add-on viewfinders, never bothered me. I have owned several of the Leica R models, but inevitably I always gravitate back to the rangefinder Leicas. This is also the reason why I am hoping for an electronic add-on finder for the upcoming M10 or whatever the M9 replacement is going to be called. It is my belief that this would make the M10 (let’s just call it that) a true system camera. Without the electronic viewfinder it could be used with the typical M lenses from 28 to 135mm and the electronic finder will then be substituted with all the other lenses that do require a separate finder. But in addition, this would greatly enhance the versatility of the camera since the electronic finder would also allow for virtually unrestricted close up photography as well as the use of long telephoto lenses. This could also be the answer for all the Leica R lens owners who, for a long time, have waited for a digital camera to use their R lenses on. Thus my good old Leica III from so many years ago has effectively been the starting point in a long succession of cameras which, with the exception of the R models I have owned, have been further developments of the Leica III which, in itself, is essentially nothing more than a further development of Oskar Barnack’s Ur-Leica prototype. No other camera anywhere can look upon such a long history and no other camera ever will. Solms (ots) - Mit einem einzigartigen Ausstellungskonzept ist die Leica Camera AG in diesem Jahr auf der Photokina in Köln vertreten. In Halle 1 präsentiert Leica vom 18. bis 23. September 2012 die Aufnahmen international bekannter Fotografen - und macht Fotokunst für Besucher der Photokina zu einem eindrucksvollen Erlebnis. In Halle 1 der Kölnmesse wurde bis zur vergangenen Photokina die "Visual Gallery" präsentiert. Unter den Ausstellungen sind die Serien "Portraits of Power" von Platon,"Arab Spring" der Magnum-Fotografen Dominic Nahr, Thomas Dworzak und Moises Saman und Aufnahmen des renommierten Projektes "Facing Change Documenting America" von Anthony Suau. Darüber hinaus präsentiert Leica erstmals die Ausstellung "Personal Best for Leica" von Magnum-Fotograf Elliott Erwitt sowie Aufnahmen von international bekannten Fotografen wie Araki, Rankin, Andreas Gursky und Hubertus von Hohenlohe. 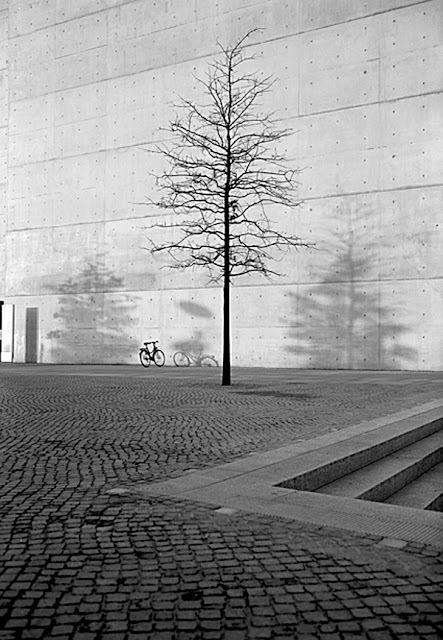 Die Ausstellungen werden von Karin Rehn-Kaufmann, Inhaberin der Leica Galerie Salzburg, und Inas Fayed, Chefredaktion Leica Fotografie International (LFI), kuratiert. "Zur diesjährigen Photokina bieten wir allen Besuchern neben Produkten vor allem eindrucksvolle Fotokunst. Das von uns entwickelte Konzept der Ausstellung ordnet die Bilder aller namhaften Fotografen thematisch einzigartig ein. Durch eine individuelle Farbgebung der Ausstellungswände wird die Bedeutung jeder Ausstellung hervorgehoben und damit ansprechend präsentiert", so Karin Rehn-Kaufmann. Zahlreiche der Fotografen, deren Bilder Leica in diesem Jahr präsentiert, sind zudem persönlich auf der Photokina und geben Besuchern Einblicke in ihr Werk. Besucher können die Fotografen vom 18. bis 23. September 2012 täglich ab 11 Uhr auf der Leica Bühne erleben. Against the background of compact camera sales figures on the world market dropping by more than 20 % Leica Camera AG was able to hold its ground in the first quarter of fiscal year 2012/2013. The first quarter of the current fiscal year closed with sales of € 71.7 million (corresponding period last year: € 72.3 million). This corresponds to a slight decrease of 0.8 % as compared to the same period of the previous year. The operating result (EBIT) after the first quarter amounts to € 15.3 million (corresponding period last year: € 16.5 million). The EBIT margin decreased thus by 1.4 % to 21.4 %. As a result of new product launches as well as the opening of sales offices (among others in Tokyo, Washington, D.C and Shenzen, China) and the establishment of an own distribution organisation in Italy total assets rose to € 205.3 million (corresponding period previous year: € 163.4 million). Due to a large number of new products, among them the Leica M Monochrom launched in May 2012, Leica X2 and Leica V-Lux 40 as well as the APO-Summicron-M 1:2 50mm ASPH., the order intake has surpassed the Company’s expectations and has led to a high utilisation of production capacity. This positive development resulted in higher material costs in the first quarter of the fiscal year, whereas delivery of the majority of products will be effected in the second quarter. As a result of the order situation personnel expenses have increased as well. The number of employees has increased to 1,257 as of June 30, 2012 (1,152 as of June 30, 2011). The Company was already able to record sales increases in the first quarter for the strongly requested M lenses and the new Leica X2. In a highly competitive market the sales of the Sport optics division are 1.3 % above the previous year’s period. This is mainly due to the new Magnus riflescopes. Regionally Leica Camera AG was able to increase sales by more than 5 % in the USA and Asia as compared to last year’s period, whereas in Europe a slight decline of sales had to be recorded. During the course of the current fiscal year, particularly after the start of delivery of the products high in demand, the Board of Management expects a sales increase as compared to the previous year as well as positive consequences for the operating result. Move over Kate Moss, see you later Cindy Crawford, vamos Naomi Campbell - a real supermodel has arrived at last. Meet the exclusive Black+White Photography Leica M Monochrom! If you manage to stop drooling for long enough this beauty could be yours. Enter Black+White Photographer of the Year 2012 to be in with a chance. Well this Tuesday afternoon just got a whole lot more magical! Leica have sent us the first images of our exclusive (as in no one else in the world will ever have one!) Leica M Monochrom with its lovely lens attached. See bpoty.com for more info. We have seen pictures of the Ur-Leica on numerous occasions, as a matter of fact, it has become quite familiar to many of us. 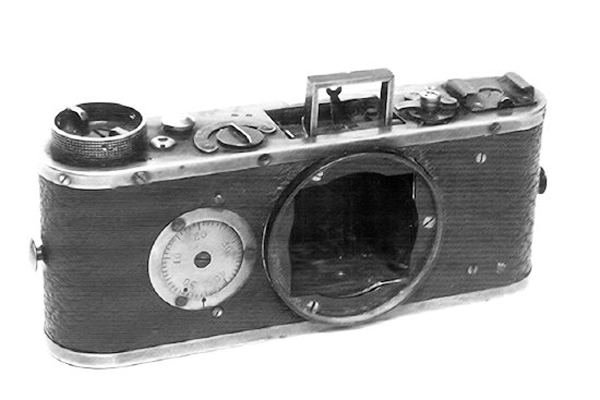 We also know that this is the camera that Oskar Barnack gave to Ernst Leitz I. We also know of a second, identical model, which is the one that Barnack used himself. It had been in the possession of his son, who ultimately sold it and all traced seem to be lost. 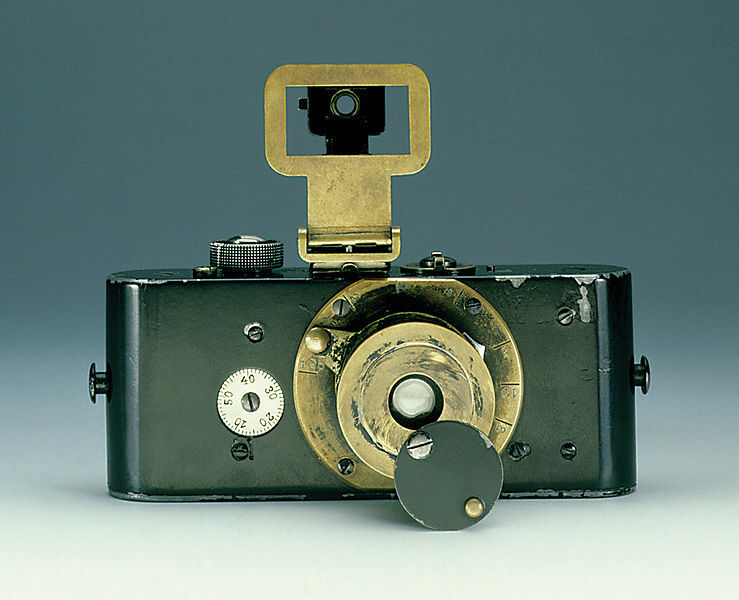 However, it is assumed that this camera resides these days in an unidentified collection. Today I came across a picture of a camera that obviously is the, or should I say, a Ur-Leica. At first glance it looks identical, but upon closer inspection, the camera is different. The most visible difference is the bare spots on the upper left side of the camera, where the original black paint is chipped off. In addition, there are several other cosmetic differences. 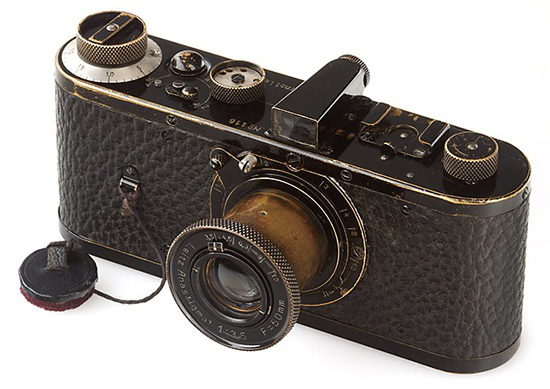 We know that the Ur-Leica that is in possession of the Leica Camera AG has never been restored. On the other hand, this could possibly be a photograph of the same camera from earlier days. There was no information that accompanied the picture I came across today, but it is intriguing to compare pictures. It is definitely not a picture of one of the replica Ur-Leicas. This photograph was made prior to 1952. One cannot help but wonder if we are looking at the two original Ur-Leica cameras. 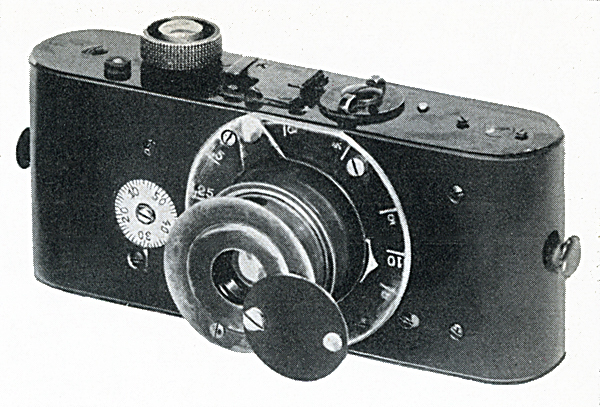 A picture of the known Ur-Leica from a similar angle. It was 67 years ago that Alfred Eisenstaedt took this iconic photograph of a sailor kissing a nurse with his Leica on V-J Day in Times Square in New York City. After decades of dispute, the couple in the 1945 photograph were revealed to be 89-year-olds George Mendonsa and Greta Zimmer Friedman. Now the couple who won the nation's heart, reunited in the location of the famous smooch to reflect on the photograph that came to symbolize the end of the war. 'It was the moment. You come back from the Pacific, and finally, the war ends,' Mendonsa told CBS. 'They stopped the show and they said, "The war is over. The Japanese have surrendered,"' he recalled. Mendonsa spotted a woman in a nurse’s uniform - he left Petry and rushed to grab her. 'I did not see him approaching, and before I know it, I was in this vice grip,' Friedman added. 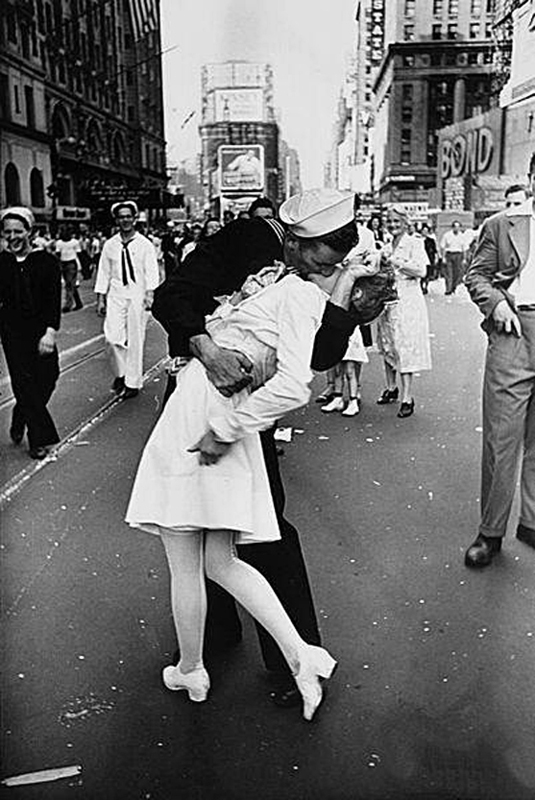 That moment was so eloquently captured by LIFE photographer Alfred Eisenstaedt. There should be no doubt that digital photography has conquered the world. But that does not mean that traditional, analog photography is dead. Especially for Leica owners, the use of film is still an important aspect of photography because many of the pre-digital Leica cameras are still in daily use. Unfortunately, many of the old film manufacturers are no longer with us. Great names like Kodak and Agfa have long since all but disappeared from the market. The most common names of film manufacturers today are Ilford and Fuji. That makes it all the more amazing to see the resurrection of one of the oldest and highest regarded names in black and white photography to reappear. This is one of the world´s oldest brands for photochemical products. 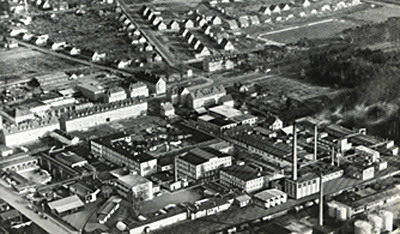 ADOX was founded as the world’s first photochemical factory in 1860. 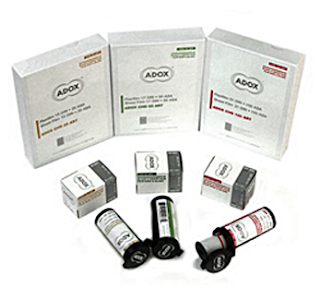 The ADOX Dr.C Schleussner GmbH soon became one of the leading producers in Europe. 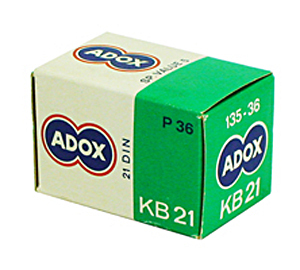 Legendary films such as the KB 14 and KB 17, being the world´s first thin layer films, made ADOX famous all over the world. 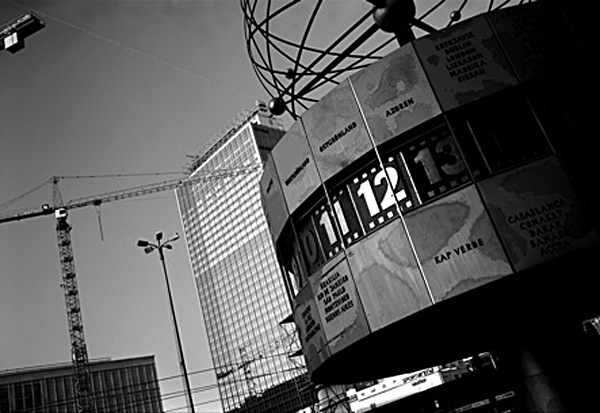 In the USA KB 14 and KB 17 were called "the German wonder film". ADOX disappeared from the photographic market many years ago and the name became part of photographic history. In recent years some of their products reappeared under the name of Efke, made by Fotokemika d.d, a company located in Samobar, Croatia. Through the efforts of Fotoimpex GmbH, the ADOX name has returned to Germany. ADOX takes on the challenges of the new market for traditional photographic products by building the "smallest photochemical factory in the world" in Bad Saarow close to Berlin, Germany. The small factory enables ADOX to manufacture a wide variety of materials in small lot sizes while keeping overhead costs down. Their main films are the ADOX® CHS 25 • CHS 50 • CHS 100 Films. These films are old school emulsions which are still produced according to the old ADOX formulations which were introduced in the 1950ies. 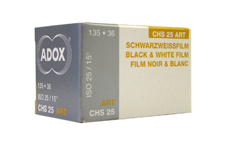 For years they have been selling this film under the Efke label, but now it gets back its original name: ADOX. They claim that by using ADOX CHS films your view on the world is the one of the 50ies and 60ies, something that should go along quite well with many of the Leica lenses of that time. These films have a great tonal range and color separation. They modulate differently from modern films. ADOX CHS films have their own feel and look to them. Especially when pictures are dominated by blue sky the areas in the sky produce a very nice darker grey compared to more modern films giving the images a different depth and look. These films were introduced by ADOX in the 1950ies and quickly became the preferred films for reporters. The films have an ultra high silver content enabling it to produce the richest grey scales and many tonal differences between black and white. Because of their low diffusion single emulsion layer technology the films are ultra sharp compared to modern multi layer films where the light will be diffused when penetrating through the different emulsion layers. CHS stands for Cubiccrystal Heterodispers Single- Layer, which means the emulsion is made up of classic cubic silver halide crystals which are mixed in different sizes and coated in one layer. The 25 speed film is the finest grain film with a classic behavior of low speed films. This means for example the film is hardly influenced by under exposure or reciprocity effects but can´t cope with over exposure because it can´t shield itself from too much light Also, its latitude is not as wide as those of faster films. For beginners ADOX recommends the ADOX CHS 50 or 100. The 50 has almost the flexibility of the 100 yet almost as fine a grain as the 25. This makes the ADOX 50 the preferred film. It has finer grain and better tonalities than modern 100 ASA films, yet almost the same effective speed in certain developers. The CHS 100 is the highest speed film which can be made based on this old technology. In the 1950ies it was called a „high speed film“. Being the fastest film it has the widest exposure latitude and contrast range but also develops the largest film grain out of the ADOX family. So especially with this film you might want to use ADOX ATM49 developer because it will yield a much smaller grain than Rodinal or APH09. If you use Pyro developers the ADOX CHS 100 can reproduce almost one full additional tonal zone compared to more modern films. This makes it an excellent sheet film as grain does not matter so much in a large format. ADOX films are supplied as KB, 120 and sheet films. They even produce strange film sizes like 127 or re-sized 620. All roll films (120 films) are supplied in dustproof light protecting black plastic containers. CHS 35mm and 120 Films are being coated on clear PET. Therefore the films are sensitive to light penetrating through the film base, fogging the emulsion. They sell all 35mm and 120 films in black plastic containers. Because of the cut off in spectral sensitivity at about 620nm red image tones tend to be converted to a darker grey compared with modern superpanchromatically sensitized films. This leads to a better separation of lips from white skin in portrait photography and makes the use of a green filter obsolete. The speed gap between blue and green/red gives you interesting skies with better separated clouds (comparable to a soft yellow filtering of modern films). If developed in ADONAL/RODINAL or Neofin Blue CHS 25 becomes ultra sharp and brilliant. Grain is usually not a problem with CHS 25 because of its fine grain low speed emulsion so this group of developers can often be preferred over equalizing developers such as ATOMAl 49 / D76 etc. Low speed films need to be exposed for the highlights and developed for the shadows (which is the opposite as for high speed films). An entirely new product is the ADOX CMS 20, the sharpest, most fine grained and highest resolving image recording system in the world. These films require to be developed in ADOTECH developer, they cannot be developed in regular developers. However, ADOX does not recommend using a different developer and they cannot guarantee the results. The film developer combination CMS 20 plus ADOTECH has been brought to perfection in years of research. The film achieves grain free enlargements of up to 2,5 meters diagonally. This equals mathematical about 500 Megapixel. 12 Megapixel equal 2,4% of 500 Megapixel. Any normal day 2 hours after sunrise and up to two hours before sunset will give you something like a 125th or a 250th of a second at F 3,5. Therefore the film can be used under almost any condition where it makes sense to use it because there is actually something to see. 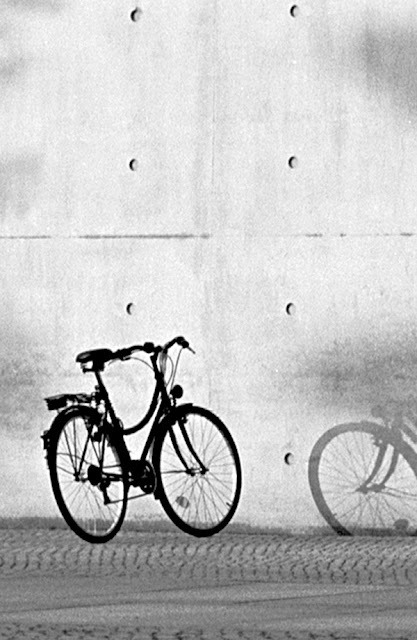 ADOX films and papers are distributed over a selected network of fine art photo dealers. Niepce, Daguerre, Fox Talbot; these names are inseparable from the history of photography. These men are figures of history, important, but remote; their discoveries were seminal, but primitive; their processes were anachronisms a century ago. Their technology was cumbersome and ill understood by present standards, and their picture taking apparatus bears only conceptual likeness to the modern camera. And yet, one of the most respected photographic companies in the world today had its start in the days of the daguerreotype and the 20 x 24 inch wet-plate collodion camera. E. Leitz Wetzlar, or Leica, as they are now called, had its origins a scant ten years after the world saw its first daguerreotype. 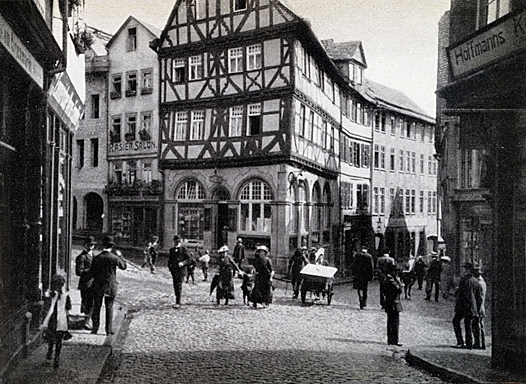 In 1849 Ernst Leitz was living in Sulzburg in the Black Forest, a six year old schoolboy. Karl Kellner, a 23 year old physicist, founded in that year the “Optical Institute” in Wetzlar. At that time Wetzlar was a small town tucked away in a valley north of Frankfurt, out of the mainstream of commercial activity. It may be its serenity that lured poet Johann Wolfgang von Goethe to Wetzlar to study and write. Even today the town retains its old world charm, a survivor of two world wars. Kellner had excellent mechanical skills and a great interest in optics. His optical studies reached back as far as his school years and he continued them all through his apprenticeship years. He also obtained exclusive knowledge in mathematics. The Optical Institute manufactured optics for microscopes and telescopes and from the beginning held a reputation as a leader in the field. It was, in fact, Kellner’s own invention of an orthoscopic eyepiece, a new achromatic lens combination, that allowed him to start his new business. Many scientists, especially astronomers, had for years looked for such an eyepiece and the success was obvious. The welcome his invention received is shown by the fact that the great astronomer, physicist and mathematician C. F. Gauss wrote a personal letter to Kellner to congratulate him on his new invention. Kellner started out with 12 employees. 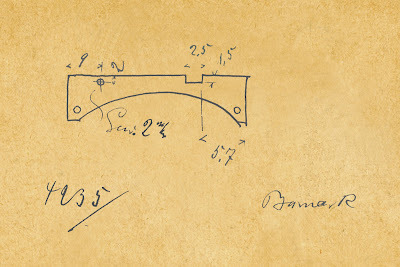 Business was good; Kellner optics and the instruments quickly gained international reputation and in May, 1851, the first instrument was delivered abroad to Geneva. The company flourished. Soon it added names like Bishoff, Liebig, Virchov, Leuckart and Koelloker to the customer list. In 1853 they started to produce more microscopes than telescopes, which so far had been the mainstay of the business. But its founder was not to see his company’s full glory. Kellner’s health failed and in 1855 he dies of one of the great perils of the time, tuberculosis. His partner, Charles F. Behltle, took over the company and shortly thereafter married Kellner’s widow. This assured the existence of the Wetzlar optical industry. In 1865 Behltle took on a new partner. It was an inauspicious occasion. No one could have known at the time that it would be his new partner that would lead the Wetzlar company to the pinnacle of international fame and recognition. 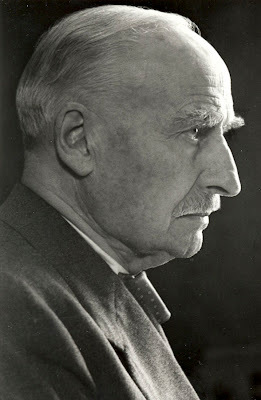 His name was Ernst Leitz. 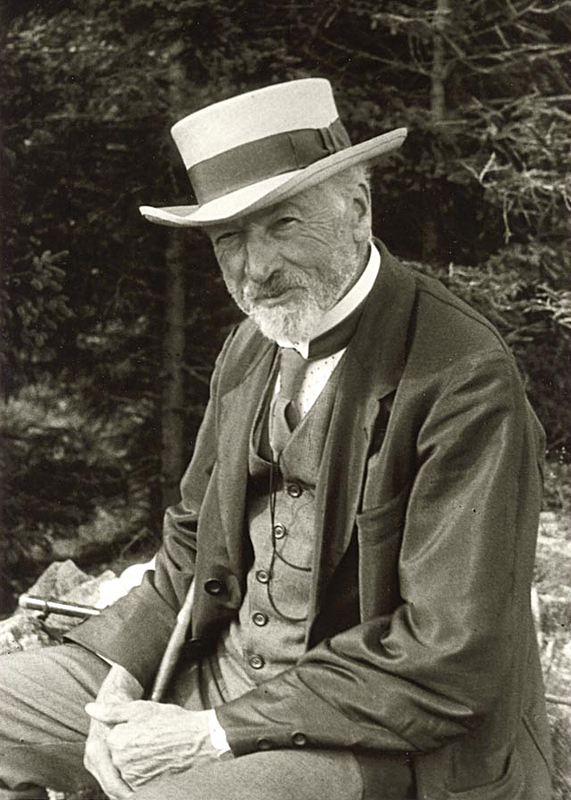 Born in 1843, in Sulzburg in the Black Forest, he grew up as the son of a school teacher. After completing his apprenticeship and journeyman’s service in precision engineering and optical workshops in Southern Germany, Switzerland and France, he came to Wetzlar in 1864. The workshop’s success continued. The 1000th microscope left the shop in 1867. When Behltle died suddenly in 1869, Ernst Leitz became the sole proprietor of the company, and for a while kept the name Wetzlar Optical Institute; but in 1870 the comp[any introduced an achromatic microscope in a catalog that bore for the first time the name Ernst Leitz Company. Work became more complex as a variety of new instruments was added to the line, such as a large horizontal photographic apparatus (a novel item in the still young field of photography) which appeared in the price list in 1865. Skill and experience alone were no longer sufficient, so in 1887 Leitz hired mathematician Carl Metz to develop new designs. This departure from the trial and error methods prevalent in optical design at the time soon assured Leitz’ leadership in the field. 1887 also saw the completion and sale of the 10,000th microscope. Much credit must be given to Ernst Leitz for turning a once small company in the space of a few years into an internationally renowned microscope manufacturing plant, employing some 4000 people, almost 35 times the original payroll. These events were taking place during an extremely active period in the history of photography. Daguerre had died in 1851; his success lived on, though not without the genius of Englishman Henry Fox Talbot. Talbot’s negative process, Kalotype, laid the foundation for modern photography. The chemistry of the photographic process had progressed far beyond the first infant steps. But emulsion sensitivity was still quite low and photographers the world over were looking fro faster lenses. The most widely used lens of the mid-century was a two element f/14 design manufactured by the French company of Chevalier. 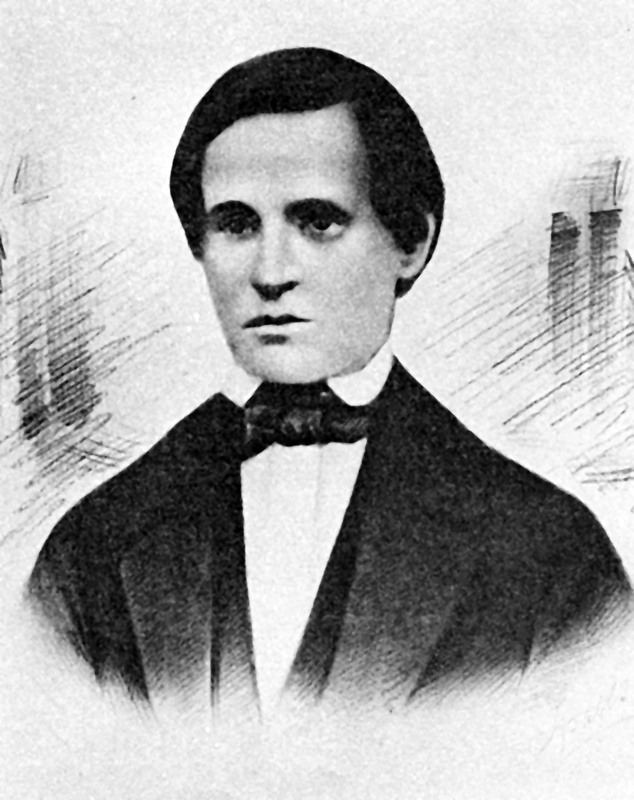 The Austrian Joseph Petzval was the first to design a multiple element portrait lens, ten times faster than the doublet Chevalier. The Petzval lens was a five element f/3.6 design with two cemented groups; the lens was manufactured by Voigtländer. Petzval also designed a “landscape” lens which had an unusually wide angle of coverage for the time. 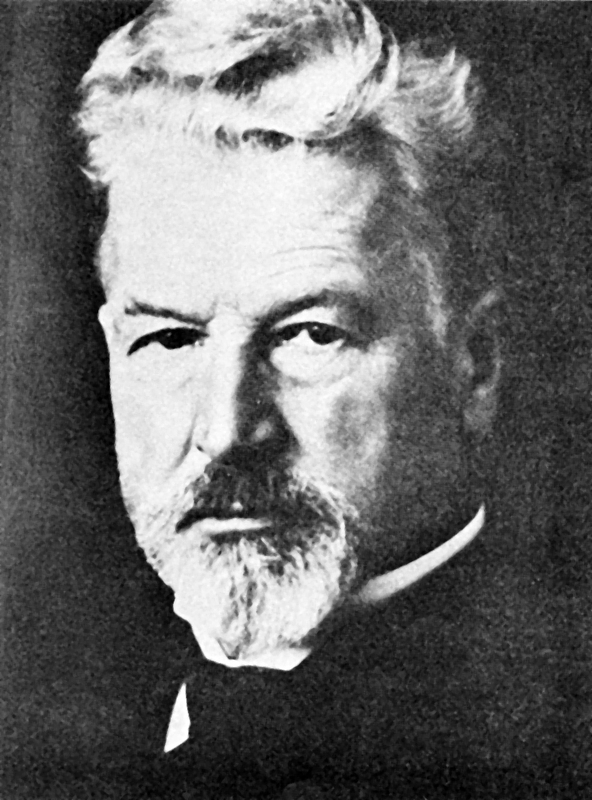 The next great step forward in the development of modern lenses was made by the company of Karl August von Steinheil. The famous Aplanat lenses led to the Portrait-Aplanat, remarkable in its day for its speed of f/2.4. Lens speed and sophistication of design had progressed rapidly in just a few years. In 1878 young George Eastman began producing photographic emulsions, but the start of one of the largest photographic companies was slow. Eastman had to fight for his success in a number of court battles, one of which involved the principle of rollfilm In 1887 Hannibal Goodwin, a minister, patented a celluloid backed photographic rollfilm. Eastman tried to get a patent for a similar film in 1892, only to learn that Goodwin’s patent was five years older. A bitter court battle lasted eleven years; the patent right finally were given to Goodwin, but by that time his health had deteriorated sharply and he assigned his rights to the Ansco Company. Another court battle started which was not decided until March, 1914. Eastman Kodak Company ended up paying millions of restitution. 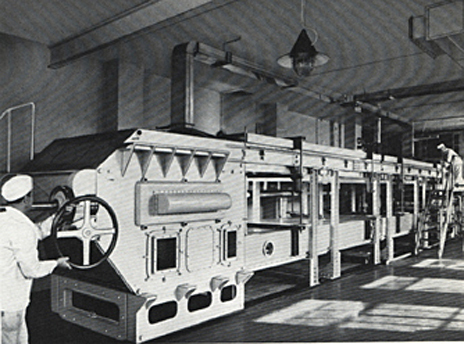 Another landmark of the period was the founding of the Aktiengesellschaft Für Anilinfabrikation, AGFA, once the largest photographic manufacturer after Kodak. (It may be of interest to note that one of the company’s founders was Dr. Mendessohn-Bartholdy, a son of the great composer Felix Mendelssohn.) Following an initial involvement in the production of various chemicals, AGFA turned to photographic developers. In 1891, after the unsuccessful US marketing of their Eikogen developer, the company produced an improved version, the now famous Rodinal™, which became the oldest, continuously marketed photographic product on the market. Oskar Barnack was born November 1, 1879, the son of a teacher in Lynow, a small town in the Mark Brandenburg, close to Berlin. 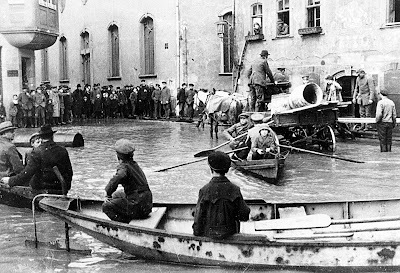 Shortly after Oskar’s birth his father moved his family to Lichterfelde, a suburb of Berlin and it is there that young Oskar would go to school. One of Barnack’s early goals was to become a landscape painter. His father opposed the idea, brushing it off as a poor man’s trade, so young Oskar was apprenticed to Master Lampe. Lampe was engaged in what was apparently considered a much more sensible trade, the manufacture of tellurians, the small clockwork driven models of the planets and the solar system. Barnack enjoyed his work with these precise mechanical devices; through his work he developed an interest in astronomy and decided to become an astronomer. He worked as hard as possible, his newfound interest driving him through his three years of apprenticeship. He accepted each new task as a challenge and an opportunity for greater knowledge. No task seemed to be too difficult for him as he perfected his mechanical skills and after 2 ½ years Master Lampe released him from his learning period, telling him he had nothing left to teach him. At approximately this time the Leitz Company’s catalog was issued for the first time without reference to its founder C. Kellner. It showed a considerably expanded line of equipment and featured such “exotics” as a projection apparatus illuminated by a paraffin lamp. By 1899 Oskar Barnack had committed himself to a career as a master mechanic. That year was also the 50th anniversary of the Ernst Leitz Company and that year the catalog showed an apparatus for counting blood corpuscles, a stereoscopic microscope and an arc lamp for microscopic projection. After leaving Lampe, Barnack made the customary travels through Europe as a journeyman. One of his travels brought him to a small town in Saxony, where he began work for a manufacturer of calculating machines. The company’s owner was not fond of people from the big city of Berlin and for a while he treated Barnack with disdain. 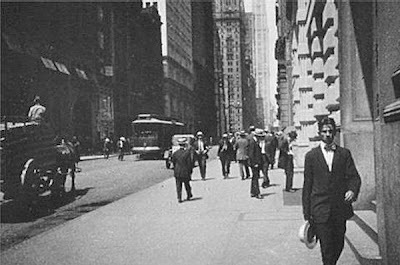 On one of Barnack’s first days at work his employer gave his new employee a calculator to disassemble for cleaning and left for a short walk downtown. Barnack found the machine badly in need of an overhaul. Though he had never worked on such a mechanism, he fully disassembled the immense number of gears, levers and springs, cleaned and reduplicated them and reassembled the machine. The owner, upon his return, found the calculator operating as if it had just been manufactured. All was in perfect order. Barnack received an immediate raise. 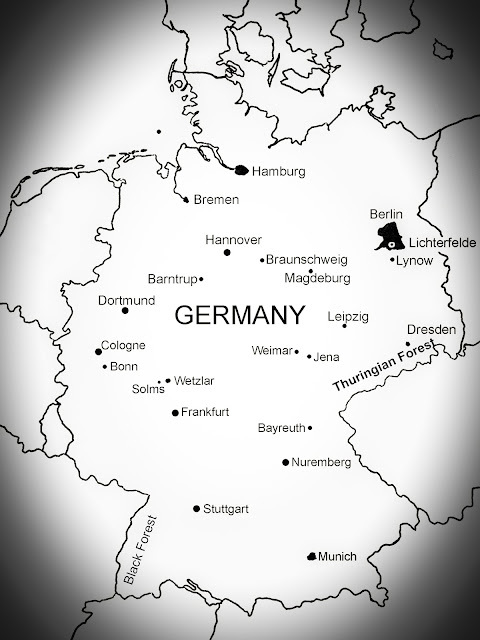 In 1902 Barnack traveled to Jena, a town in southeastern Germany near Austerlitz, where Napoleon had decisively defeated the Prussians, Austrians and Russians in the Dreikaiser (Three Emperor) Battle nearly a hundred years before (1805). There he joined the Zeiss Optical Works and it was there where he first developed an interest in photography. He enjoyed hikes in the countryside, often spending time in the Thuringian Forest. He frequently took along a 5 x 7 plate camera and developed some skills as a photographer. But since he had never been a very strong person, he soon began wondering about an alternative to carrying the heavy camera equipment along all the time. The obvious choice was a smaller negative and as early as 1905 he began experimenting with a camera specially converted to take fifteen or twenty smaller negatives an a single 5 x 7 glass plate. The grain structure of the film materials of the day proved too coarse for such an approach and no useable enlargements resulted. He gave up the idea. Barnack’s health began to give him problems and after receiving a small inheritance, he decided to travel south to Tyrol, hoping the climate would rid him of asthma and chronic colds. He remained near Bozen for a few months, enjoying the fresh air and the countryside. With renewed vigor he traveled to Vienna, but the leisurely pace in Vienna proved uncomfortable for the conscientious Prussian and he soon returned to Master Lampe in Berlin. Lampe, thrilled at Barnack’s return and contemplating retirement, offered Barnack his business at no cost. Barnack turned the offer down. After a brief brush with the manufacture of mechanical pencils in 1909, Barnack returned to Jena and the opto-mechanical industry, taking a job at the Jena glass works. There he befriended Emil Mechau, who had started work on a new type of movie projector that used a rotating prism instead of the mechanical cam-claw arrangement to freeze the frames on the screen. Mechau thought his prism system to be superior, since with a compensating prism one frame would blend into the next, not unlike a dissolve projector. His superiors in Jena, however, did not think the project worthwhile to pursue and Mechau was forced to set aside its development. Discouraged, he left Jena. He took his idea to Leitz in Wetzlar and in 1910 he joined the company with a guarantee he could continue to develop his projection system. Barnack, always looking for new challenges, left Jena the same year and joined the IKA camera factory in Dresden. 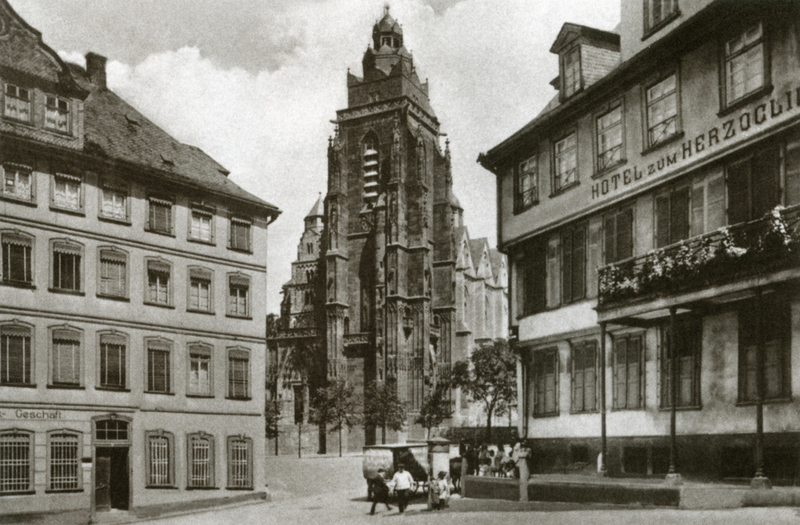 He stayed in Dresden only two months and then returned to Jena. 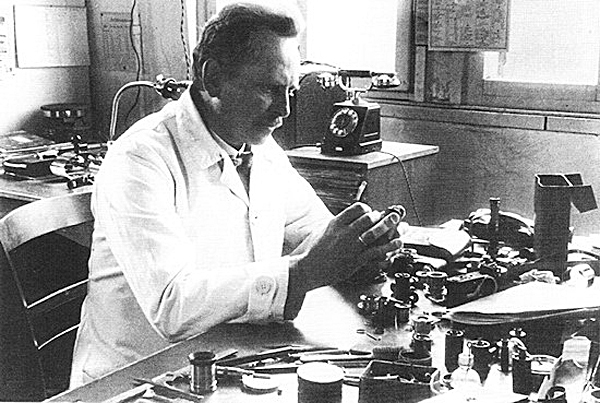 In 1910 it became apparent that Leitz was in need of a master machinist in the microscope research department. 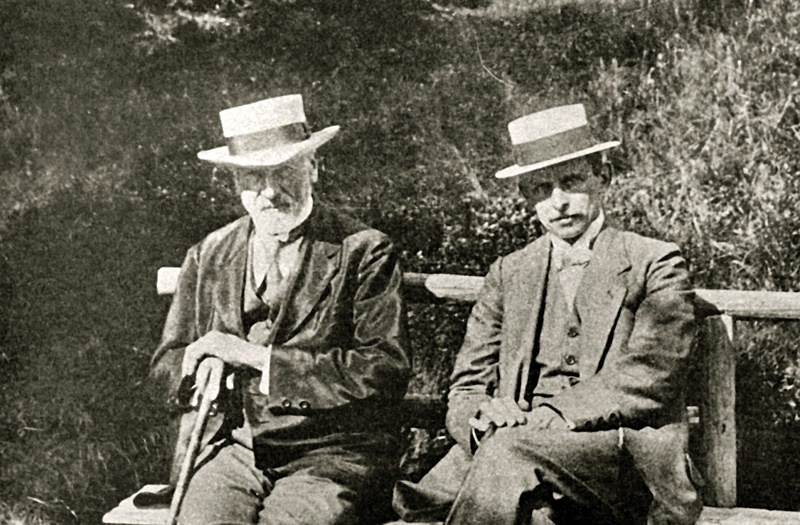 Emil Mechau, recently arrived from Jena, thought immediately of his friend Oskar Barnack and suggested him to the Leitz management. 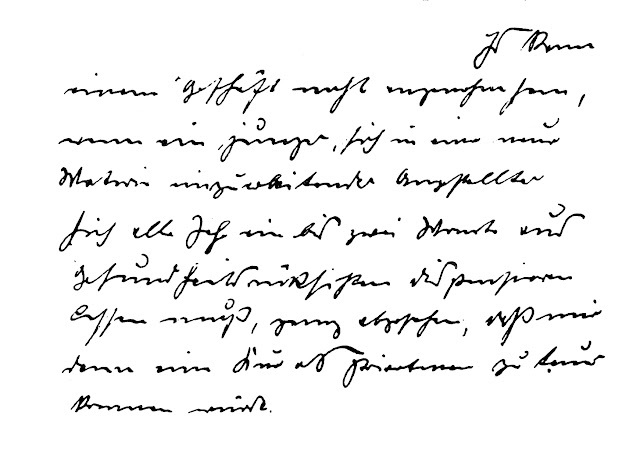 Leitz contacted Barnack on short order, but he was hesitant and his reply very much illustrates his character. Though he seemed dissatisfied with his work in Jena and being interested in the Wetzlar position, he answered, “Surely it is not desirable for a company to hire a young employee who still has to familiarize himself with the new tasks and whose health compels him to take a leave of absence of one or two months every year, not to mention the fact that the costs of such cures would be too high for me as a private person.” The answer impressed Ernst Leitz and he decided to hire him in spite of his disclaimers. His assurances prevailed and on January 1, 1911, Barnack arrived in Wetzlar. He was soon befriended by Leitz who recognized the affinities between Barnack’s personality and his own. 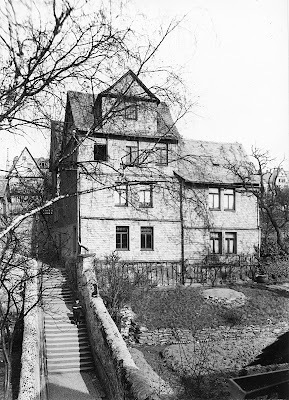 Leitz helped Barnack to locate and purchase a small house, located such that it was protected from the harsh east winds, with a glass enclosed porch and Barnack’s beloved garden. Barnack was so susceptible to chills that it had become common practice for him to stay home after a hair cut to avoid a cold. Leitz thought the sheltered house and glass enclosed porch might help to keep his employee’s health from deteriorating any more than necessary. 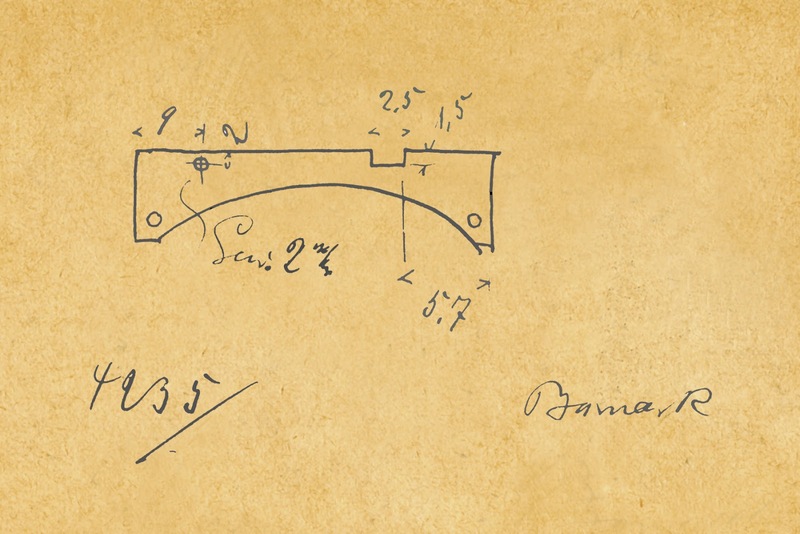 As a master machinist one of Barnack’s first tasks was to design diamond lathes for the lens polishing department. Soon he started work on an all aluminum movie camera, a radical departure from the heavy wooden models of the time. It would become the first all metal motion picture camera ever. This venture into movie cameras resulted from the company’s need for films to test Emil Mechau’s projectors. There was apparently no way to buy or rent films in Germany at the time, nor did Leitz see fit to buy a camera from another company. Barnack himself made a number of movies with his new device and samples of his work still exist. Members of the LHSA (Leica Historical Society of America) had the pleasure to view several of these movies during their annual meeting in Minneapolis in 1980. Barnack displayed considerable skill as a motion picture camera man and for awhile seriously thought of changing careers again. One of the problems of shooting movie film at the time was determining proper exposure. Photoelectric meters were not yet available and the camera operator always ran the risk of losing the whole 200 foot roll to improper lens settings. Barnack decided to build a small exposure testing device that would use short sections of movie stock. With it he would expose film by the common method of the time - take a good guess – and expose his movie identically. Afterwards, the test exposures were processed and any exposure problems were compensated for by evaluating the test and adjusting the development of the movie film accordingly. Barnack’s “lightmeter” was equipped with a Zeiss Kino Tessar lens and had a fixed exposure time of 1/40 second, the common motion picture shutter speed. The quality of the results surprised him; in the motion picture film he had finally found a fine enough grain structure to yield good enlargements and he recalled his old idea of making a small negative camera. 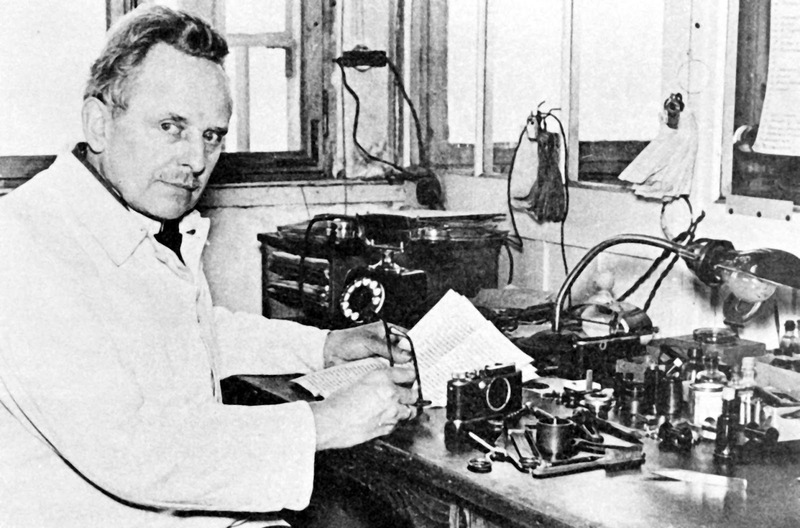 He decided to give the problem a good try and, in 1913, he finished his first real still camera. To get the most from the small 35 mm film he chose to double the size of the standard motion picture frame; in so doing he created the modern 35 mm still camera format (or full frame format). The camera had a focal plane shutter with a fixed slit width of 40 mm. 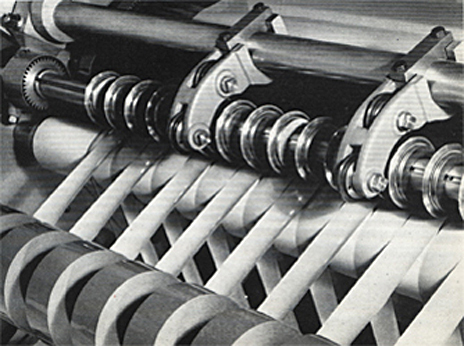 Shutter speeds were controlled by variable spring tension. The first lens was the same Zeiss Kino Tessar he had used in the exposure testing camera, but it proved to have unsatisfactory coverage for Barnack’s full frame format. The next lens tried was a 64 mm Leitz Macro Summar, but it too was unable to satisfy Barnack’s requirements. It was Max Berek, Leitz’ chief lens designer who finally solved the problem. The challenge was to design a lens equal to or better than the best the market could then offer. He designed the Leitz 50 mm f/3.5 Anastigmat, later renamed the Elmax. It was the five element forerunner of the world famous Elmar. It is important to note that the Barnack prototype 35 mm camera was not the same as the exposure testing camera built quite some time prior as is commonly assumed. The exposure testing camera had a fixed 1/40 sec. exposure time and used the common half frame format of 18 x 24 mm of the time. However, it gave the impetus for Barnack to build the Ur Leica, which was to become the “grandfather” of the famous line of Leica rangefinder cameras. 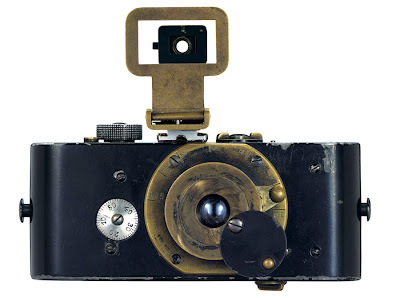 Thus the first Leica camera came into existence. Many improvements were to come later, but most of the features of the production cameras were already present in that unnamed experimental camera. It wasn’t until much later that it was called the Ur Leica. The camera did not yet have a self capping focal plane shutter. To avoid exposure during winding, a small disc, directly attached to the lens, had to be swung into place to make the camera light tight. But unlike any camera before, this was an entirely new design, one that for the first time combined film transport and shutter cocking mechanisms and avoided the possibility of accidental double exposure. Since the camera utilized the relatively inexpensive motion picture film, twelve pictures now could be made for the price of a single 5 x 7 plate and 40 exposures could be made in a single loading. The camera laid the foundation for an entirely new kind of photography and influenced the 35 mm camera deign for years to come. Only in recent years has the basic focal plane shutter design, as used in principle in the Ur Leica, been replaced; it is still used in various forms by most camera makers. Initially, film had to be loaded into the camera in the dark, something that Barnack soon recognized as a problem. To overcome this problem, he designed a reloadable cassette that could be inserted into the camera. To make room for the cassette it was necessary to shorten the roll of film from the initial 40 exposures to 36. This maximum of 36 exposures per roll has never been changed and the daylight loading film cassette has become universal. Even the comparatively insignificant accessory shoe, added by Barnack to the Ur Leica to accommodate a viewfinder, has kept its dimensions through all the years since it was built onto the Ur Leica. Perfection, as we all know, cannot be improved upon. I have often been asked, “How did the Leica really come to be?” Whether it was particularly difficult, whether it took a long time, why I arrived at the particular format of 24 x 36 mm, further, what actually happens when something is invented, and many other questions. The development of the Leica system caused me such a chronic shortage of time that I was happy to take care of at least the immediate problems and tasks as best I could. For the time being, it did not occur to me to entertain historical reflections. Perhaps that might happen when more time has passed. But these considerations did not take Curt Emmermann into account; he proved to me quite clearly that it was my duty to say something in the new “Leica:” magazine (published by Emmermann), even if it was only in the form of an apology. This is indeed correct: I really have no apologies for the Leica. When I think of the many bothers and vexations experienced by otherwise accomplished photo fans with this peculiar camera and how allsorts of newfangled gadgets made life difficult for my dear contemporaries, such as the perforated motion picture film, which always tore right away (if you loaded it incorrectly), a camera that nobody could understand, then those confounded cassettes designed especially to irritate my fellow men, when I think of all that, I feel like a real mischief maker. Whereas up to now everything had been nicely solved and arranged with those solid plates and those wonderful roll films. All that worked very smoothly. One should have left well enough alone. A friendly acquaintance, who had some bad results through no fault of his own, even wanted to throw the Leica at my head. My only consolidation is that the unfortunate one, when he happened to have some bad luck, was not automatically in danger of his life, as could easily be the case in an automobile or an airplane, when the steering mechanism goes on strike. I also lived in the hope that perhaps these mistakes might be followed by know how, which turned out to be the case quite often. Fourteen days later the bomb thrower mentioned above was quite pleased, as he informed me in a letter that he really did not mean it so seriously. The Leica happens to be a rather sensitive creature. A French acquaintance, who prized his Leica very much, described it as ‘capricieuse comme une jolie femme.’ With superficial or even incorrect handling it promptly exerts passive resistance and if you try to force it, you might as well pack up. However, this is a minority because the majority does not consider the instruction booklet entirely superfluous. This conclusion is based on eager testimonials, unsolicited and often the result of enthusiasm. There were cases where 100,000 exposures were made in the very same Leica in one year, without any trouble whatever! A Leica owner like that is a master of his craft, and the instrument performs smoothly in his hands. Here imitation is recommended. the enlargements were not exactly appealing. For a while, I let the entire matter rest, but the realization ‘Small negative, large picture’ for a still camera had been born. In the meantime, a change took place in my activities, as I joined the Ernst Leitz Optical Works in Wetzlar. Here my responsibilities included, among other things, motion picture technology. I designed my first motion picture camera in 1912 and pretty soon I was headed in the right direction because of the fine grain of motion picture film. A postcard size enlargement from a motion picture frame was quite acceptable. But meanwhile I had become more demanding. The postcard and even more so the size might be nice souvenir pictures, but the actual , real picture emerges only at 5 x 7 or better yet at 8 x 10. Even these sizes appear quite small once one has seen pictures 20 inches wide. It is really true that, the larger the picture, the more plastic and realistic its effect. For that purpose the motion picture frame was too small. Since regular film unfortunately was not permitted to become wider because of the wonderful invention of standardization, I had to employ as much feasible length in order to make optimum use of it. Right off, I tried to double the frame width and what do you know, it worked out very well; that is, 24 mm wide and 36 mm long. That is how the Leica format came to be. In other words, it was not the product of prolonged pondering, as was the case later with other camera parts that frequently seem quite insignificant. To this day, I still consider the proportion of 2 by 3 as the most attractive one. Now the actual designing of the Leica began. I gave a free reign to my yen for the unusual and the novel. I was not restricted by any particular assignment or direction, as would be the case in a modern design department; rather it was a private hobby. Because I was not inhibited by customary guidelines and because I used hardly anything that was heretofore considered essential for a good photographic camera, the result was this novel type of camera. Already then it was basically as it is still seen today. The difference was that the first model did not have a focal plane shutter with variable slit width, it had a fixed slit 4 cm wide and several spring tensions and it did not yet have daylight loading cassettes. But it already had all the other features. Particularly the obligatory coupling of film and shutter advance. I used that model for many years and I still have many pictures from those days. However, further refinement of the camera was temporarily halted by the outbreak of World War I. More important things had to be worked on. 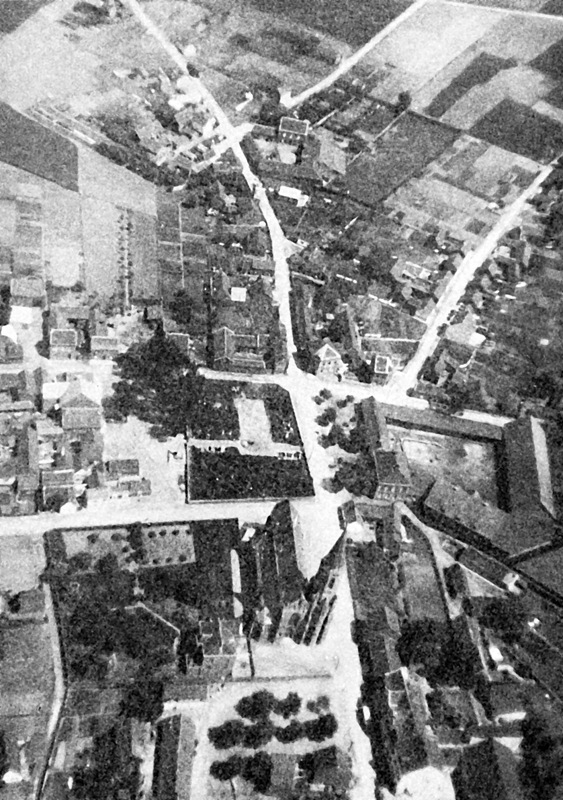 But extremely valuable experience was gained with the many pictures taken during the war years, so that, when the question of actual manufacture was later brought up, I was able to come up with a production model in a relatively short time. 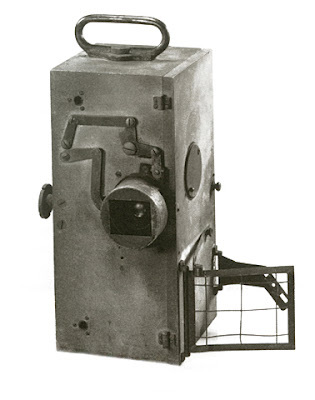 Next, the following things had to be designed: a rangefinder for close-up pictures, an indispensable requirement for a camera without ground glass; then the self capping focal plane shutter with adjustable slit width that was absolutely reliable and finally daylight loading by means of cassettes. I also built the viewfinder at that time. After these things had been satisfactorily solved, as I believe they were, only one major item remained to be settled and that was a suitable lens. This naturally would have to be of superior quality, because at least a tenfold linear enlargement was required. This is where the work of Professor Dr. M. A. Berek comes in. He succeeded in designing a 50 mm f/3.5 anastigmat lens which was at least equal to the very best lenses of its type. This step had a very significant effect in getting the whole concept of a small camera accepted. Very slowly at first, then gradually faster, but with remarkable even acceleration from year to year. Now 60,000 Leica cameras have been built. That’s what is called healthy evolution. Today, six years later, one might well say that the existence of a good miniature camera has been definitely justified. Small cameras that once existed about 16 to 18 years ago, like the “Minigraph,” undoubtedly did not survive because their negative size (18 x 24 mm) was too small and their external dimensions much too large. A miniature camera just had to be small and to make 500 exposures on a single film, as in the “Minigraph,” is not everyone’s cup of tea. Thirty-six exposures with the Leica are already plenty, and on the other hand, this is occasionally desirable. The future of the miniature camera is substantiated by the new models of the most varied types that are now constantly appearing on the photo market. I do not consider them as competition, quite the opposite, they all support the new concept of “Small Negative, Large Picture.” Those who want to draw a final conclusion from the wealth of their long experience with all sorts of camera types will probably change over to the Leica. That is quite understandable. It is simply the most versatile and the most universally applicable camera. All the accessories and objects that have been added in the course of time fit the Leica perfectly and they form the complete range of instruments that made the now so-called Leica system a reality. Now the door is open to master any photographic task by means of appropriate accessories from photographs of the most distant subjects, as in astronomy, to close-up pictures with supplementary lenses, proceeding further to even shorter subject distances to a scale of 1 to 1, that is, actual size, thus branching the gap to photomicrography. That is the Leica and what it can do. Barnack himself demonstrated an eye for the picturesque, but with the Leica in hand he also showed some skill as a photoreporter. 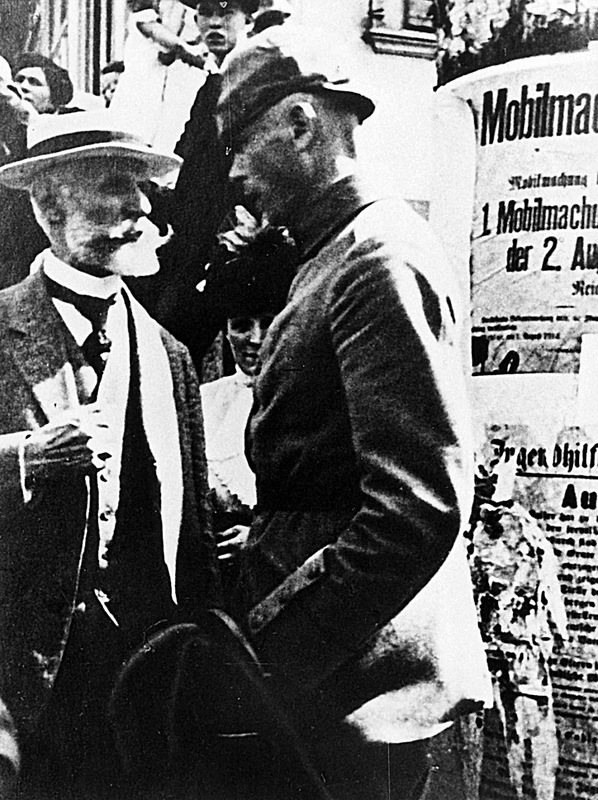 His pictures of the mobilization for World War I represent some of the first spontaneous photo reportage in history. He also photographed during the Wetzlar flood in 1920. 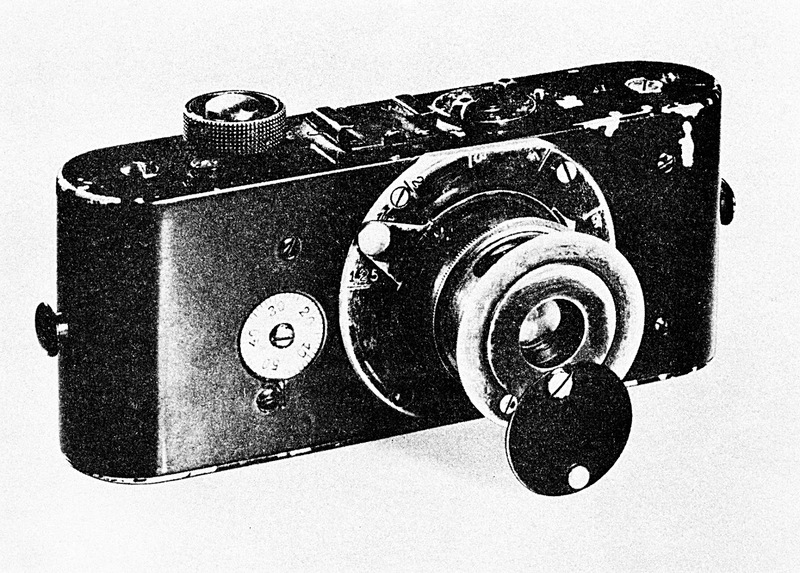 The outbreak of World War I ended development of “Barnack’s camera,” as it was called. Barnack stayed in Wetzlar during the war; the German forces refused him because his health was so poor. Very little is known about the plant’s activities during the war years, but it is safe to assume that it was occupied with military contracts. Though he was unable to continue work on the camera, Barnack photographed with the prototype throughout the war years. When food began to run short he used photographs for barter, photographing farmers and farm buildings in return for eggs and butter. By the end of the war Barnack was very much in need of a vacation. Ernst Leitz, aware that his friend’s health was failing, invited him along on a trip to the Black Forest. The camera accompanied them, of course. The trip provided a photographic opportunity that has left us a large stock of negatives from that earliest Leica, including a number of pictures of Leitz and of Barnack himself. In 1914, when Count von Zeppelin landed one of his dirigibles in nearby Giessen, Barnack immediately set out to see it and after some talk convinced the Count to take him up on one of the voyages. In so doing he made the first ever aerial photo with a 35 mm camera. The year 1913 saw one other major breakthrough at the Leitz plant. During that year the company developed the first binocular microscopic eyepiece, a feature so common on the modern microscope that little thought is given to it anymore. After the war, Barnack made a third prototype, incorporating a number of improvements and changes. 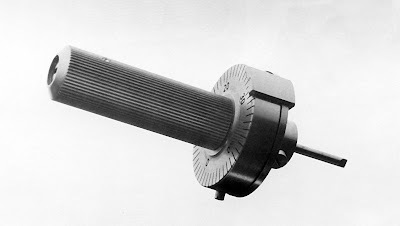 The shutter was still not the self capping type, yet Barnack had left off the small lens covering disk, thinking it sufficient to press the lens against the chest during film winding to avoid accidental exposure. 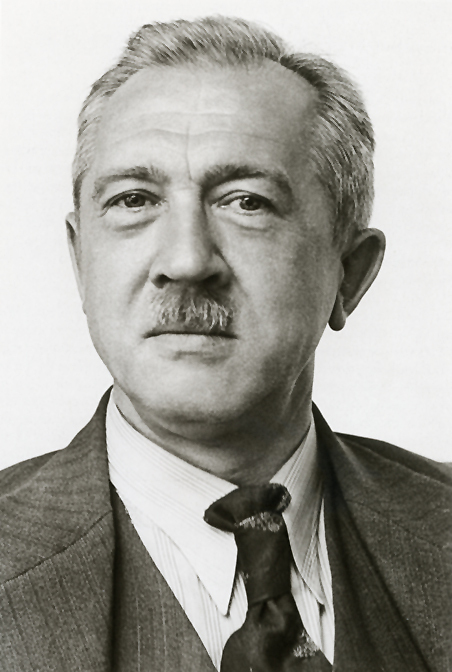 Ernst Leitz II took over the company in 1920 following the death of his father. At this time Emil Mechau had refined his projector and the company began production of the Model 3 Cine Projector at a new plant in Rastatt. Barnack further refined his camera, at last incorporating the self capping shutter and in 1923 the company decided to try a pilot run of 30 or 31` cameras (the exact number has never been conclusively determined), the so called Nullserie preproduction model, equipped with Max Berek’s 50 mm f/3.5 lens. The cameras were distributed to professional photographers for evaluation and drew a mixed response. Most were skeptical of the new miniature format, but many acknowledged that it could produce astonishingly good enlargements and that it had great potential. The advances of the early years occurred during Germany’s postwar depression. Unemployment was widespread. Money had virtually no value; a loaf of bread costing a million marks or more was not unusual. Many cities printed their own money. When paper ran out they printed it on leather and even wood. Use of the barter system reached an all time high. At that time, in 1924, Ernst Leitz III had passed his high school examination, the Abitur, and before entering university had come to the Leitz company as an apprentice instrument mechanic and toolmaker. The day of his father’s decision he called the longest day of his life; it was a fateful day for the Leitz company and for photography in general. 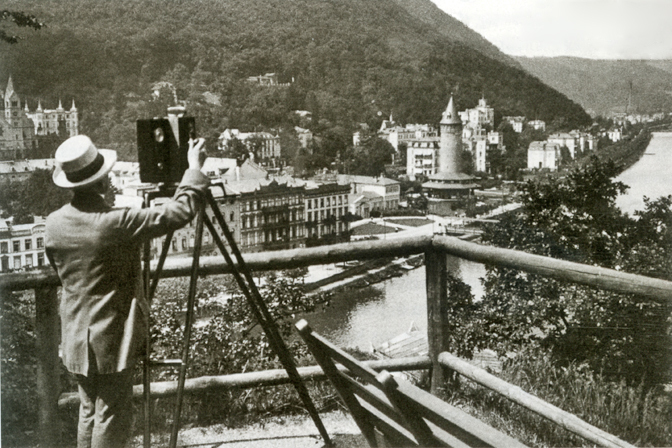 Production started late in 1924 and by the time the camera was introduced to the public at the Leipzig Spring fair in 1925, at least 800 cameras had been completed. The Leica caused quite a sensation. Many professional rejected it, skeptical of its small size and subsequent performance capabilities. The general public, on the other hand, was very much in favor of it; finally there was a camera small enough to be taken anywhere. 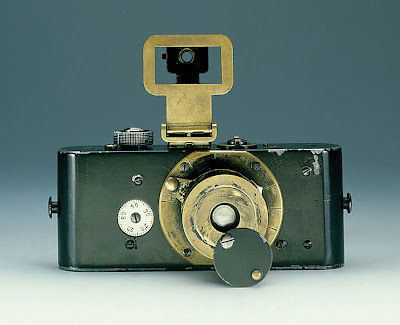 The Leica, in fact, was soon taken on the Zeppelin, on expeditions to the North pole and to Africa. It filled the need for a camera that was small and that could be used with ease under almost any lighting conditions, and it began to gain acceptance from professional photographers. No small order, but the rangefinder materialized and the Leica II and Barnack’s farsightedness prevailed. The new camera was called Autofocal Camera. The year was 1932. Improvements had been occurring all along. 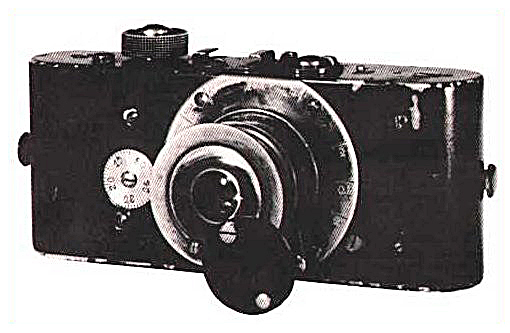 The first interchangeable lenses had appeard in 1930. Lens production had been enhanced after 1927 when Ernst Leitz III, returning from university studies under Max Planck, began to develop a method of machining lenses with the aid of diamond tools. In 1932 Leitz introduced the Leica Reporter which allowed the photographer to make 250 24x36 negatives before changing film. Even an electric motor was designed for this model. Barnack’s improvements were continuous and comprehensive. He was always willing to listen to new ideas. He would never make any direct comments on any of these, but later one could often notice comments about the items like “totally overexposed,” or “way underexposed” in the margins of his notes. Even though not all the improvements on the Leica were not entirely his own ideas, until his death he made the decisions on what was to be changed and what not. Recent luxury features, like auto winders, 250 exposure backs, remote releases and motor drives, just about all were at one time or another tried by Barnack. And while one of today’s camera manufacturers once claimed that every SLR has a little bit of their SLR in it, one can safely say that in some way, every 35mm camera of recent times had a bit of Oskar Barnack’s genius in it. As a matter of fact, even the current digital Leica M must be considered to be a direct descendant of Barnack’s ingenious prototype Ur-Leica. Until his very last days Barnack’s time was totally consumed by the Leica. Even when his poor health would confine him to bed, he mostly occupied himself with the camera and when he returned to work he would always bring along sketches of new ideas. 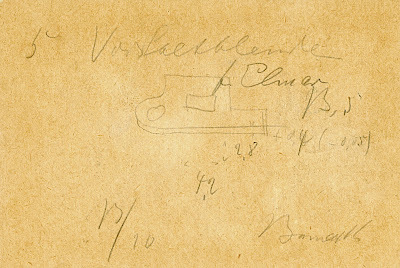 This design sketch, signed by Barnack, was scanned from the original. It has the same size of the original and an accurate rendering of the yellowed color it has now. His private life was very quiet, and by himself he was a rather unassuming person. He was also a very accomplished chess player. His character was not at all influenced by the great success of his camera. In summer of 1935 he became seriously ill. The diagnosis confirmed pernicious anemia. Recovery was slow, but on January 2, 1936, he was able to celebrate his 25th anniversary with the company. A few days later pneumonia forced him back to bed. His health deteriorated rapidly and on the morning of January 16, 1936 Oskar Barnack died. His legacy, the Leica, remained, and long after Barnack’s death, his invention continued to change photography an nothing else before or after has done.